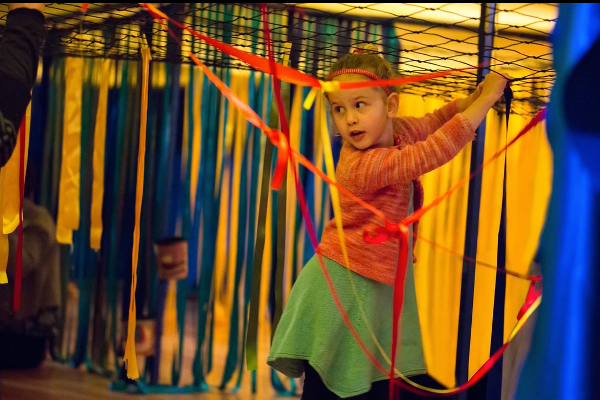 A new exhibition especially for kids lets them step into a world of wonder, helping to build and interact with a silky colourful jungle of ribbons. Come take a look at this stimulating and immersive art experience. Under a light, child-height ceiling, hangs a spectacular array of nets, fabrics, and coloured silk ribbons that are woven, tied and pegged to create beautifully hanging sculptures. It is called SILK and it is divine. Children are allowed to explore the space and alter it to their liking. They can peg up ribbons, tie them to nets and become a part of this stunningly surreal landscape of imagination. This delightful display is perfect for children aged three to five as they can run, dance, and play beneath the low ceilings of ribbons. SILK will be on at the Arts Centre in Melbourne from 5-9 April, showing twice a day at 10am and 1.30pm. Each session runs for 45 minutes – a perfect amount of time for kids to run off that energy and get creative with fabric and colour. All tickets are $16, and bookings can be made at the Arts Centre website. 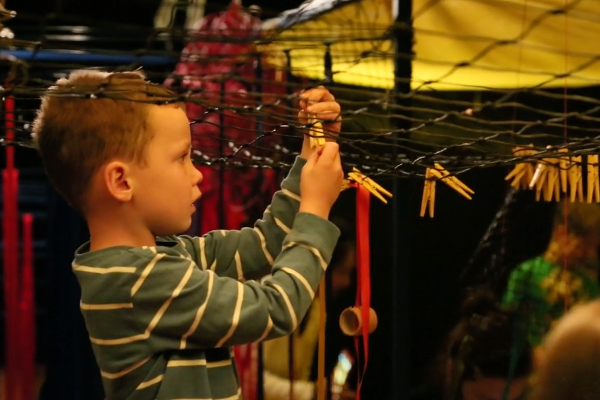 You might also want to take a look at the fun activities happening at Melbourne’s NGV this Easter. For more fabulous family ideas these school holidays, keep checking in with our Sunday Arts section.